If an indoor antenna does not provide optimal transfer quality TV channels, more appropriate would be to purchase and install street antenna. The installation of antennas on the roof at first glance it seems quite difficult, but in fact almost every layman will be able to do it myself. 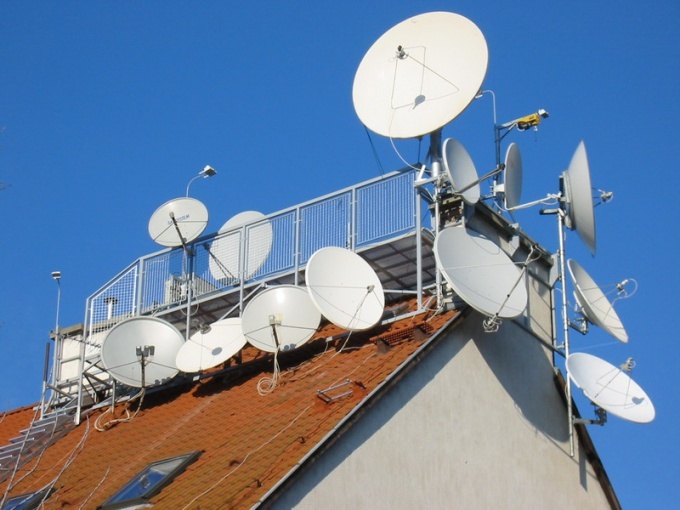 Check with the service of management of housing and communal services or in the management company, which is engaged in the service of your home, can you install on the roof of an apartment building's television antenna. If you live in a private house, then the first step you should skip. Having access to the roof, and secure there antenna so that it can smoothly receive a signal. If the roof is flat and there are no additional structures, in this case, you can install the antenna closer to the edge and to obtain optimal TV signal. There are places where the reflected signal more efficiently than the main ( reflection from mnogoetajnoe house, which is the rear or side of the television station, which is closed from you another concrete house). In the "closed" area is better to use brackets with anchor bolts. The cost of such bracket $ 8-10. Secure the antenna and begin to lay the cable to her apartment. Secure it with plastic clips that are held in place by small studs. Pull the cable in the apartment to make it desirable over the top, as in this case, the cable will be invisible. Insert the cable into the apartment, you may have to drill the door hole of the appropriate diameter. If you have multiple TVs, use a splitter. The antenna on the roof is able to provide high-quality signal for multiple sources. Outdoor antenna can provide a very decent quality of the picture displayed, but if you want to see a greater number of thematic channels, then you should connect to satellite or cable television (analog or digital, depending on the capabilities of your TV). Be careful: Make the cable so that in the future he would not hurt anyone and the neighbors would not have the desire to break.